Very excited to have been interviewed by Steve Schwartz on the LSAT Unplugged Podcast and I am happy to share that episode with you on the Attorney Heart Podcast! 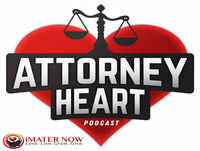 In late 2017 I left my full-time position as a trial and appellate attorney to commit 100% to my business iMATER NOW and launch the Attorney Heart Podcast to promote and foster well-being in the legal profession. I continue to support and encourage fellow attorneys and professionals to live healthier and happier lives which allows them to increase their impact and influence. On this episode I share my strategies and skills that prioritize self-care, in particular how to manage stress and develop emotional wellness. Left unchecked, stress can overwhelm us, and we need to find ways to mitigate it. I also cover the newly launched Bar Exam Game Plan™ program that helps law students prepare a game plan for the bar exam which was hands down the key to me passing the California bar exam the second time around!